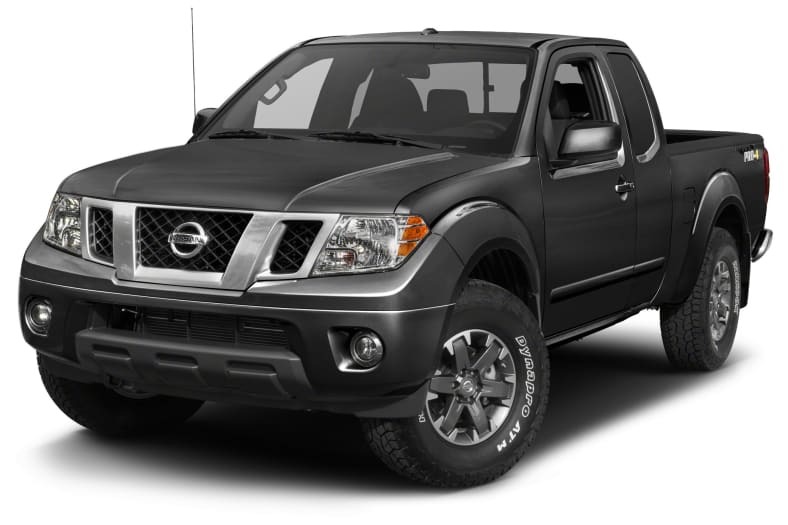 The Nissan Frontier compact pickup has been marketed since 2004 with few changes along the way. Little is new for the 2018 model year, except that the Frontier S base trim level adds air conditioning, cruise control, Bluetooth, and a rearview camera to its standard-equipment list. A new Midnight Edition option package for SV Crew Cab models spruces up the body with black wheels and trim. Frontier pickups come in five trim levels: base S, SV, Desert Runner, SL, and PRO-4X. Either an overburdened 2.5-liter four-cylinder engine or a robust 4.0-liter V6 may be installed, but the V6 is a lot more popular. The four-cylinder makes 152 horsepower and 171 pound-feet of torque, while the V6 whips up 261 horsepower and 281 pound-feet. Offered only in King Cab configuration, the four-cylinder engine can mate with a 5-speed manual gearbox or a more costly 5-speed automatic transmission. With V6 power, the manual choice is a 6-speed. Rear-drive is standard, with four-wheel drive an extra-cost alternative. Extended-cab (called King Cab) Frontiers have a 73.3-inch cargo bed, rear-hinged half doors that open after the front doors, and jump seats in back. Crew Cab models get four conventional doors, a regular rear bench, and either a short (59.5-inch) bed or the longer (73.3-inch) version. Two models focus on off-road capability. Equipped with rear-wheel-drive, the Desert Runner has a raised suspension with Bilstein shock absorbers and oversize all-terrain tires. The four-wheel-drive PRO-4X includes a transfer case and electric locking rear differential. Modern active-safety features, such as automatic emergency braking and blind-spot monitoring, are absent from any Frontier. Crash-testing of the 2018 Frontier by the Insurance Institute for Highway Safety resulted in mixed ratings. Both body configurations scored Marginal on the small-overlap frontal-crash test for the driver's side, but moderate-overlap and side-impact scores were Good. Head restraints were deemed Acceptable, but headlights Poor. Testing the 2018 Crew Cab model, the National Highway Traffic Safety Administration gave a disturbing three-star rating (out of five) for the frontal crash-test. No side-impact testing has been performed. Rollover resistance (a calculated figure) is only three-star for rear-drive models, but four stars with four-wheel drive.